Have you ever tried to explain something very carefully, only to have people take away every conclusion except the one you were trying to make? Anyone who has ever worked with kids will say yes and amen. Every few years someone seems to come along and say that they know when Jesus will return, even though Jesus Himself said more than once in the same setting that, “of that day and hour no one knows…” (Matthew 24:36, NKJV). If people keep coming up with Biblical proof for dates of Jesus’ return, yet Jesus said that only His Father knows when that will happen, we have to ask the question, "Exactly what hour do we knoweth not?" (King James). I don’t think that I need to go to great lengths to back up the idea that the Bible says Jesus will return. Some lengths but not great ones. Again, going to some lengths but not great lengths, here is how I see it. 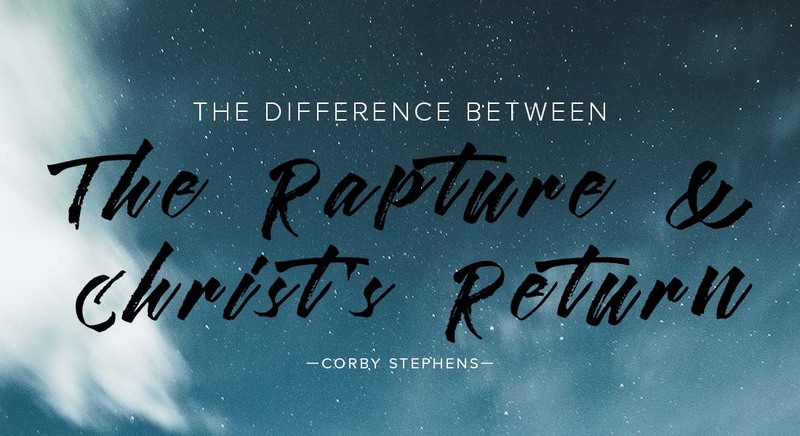 The rapture is not the same thing as the Second Coming. The reason it is confusing is because they both involve Jesus coming back, but in different ways and for different reasons. So much to say, so little space. Please study this out for yourself. Paul, in 1 Thessalonians 4:17 says, "Then we who are alive and remain shall be caught up together with them in the clouds to meet the Lord in the air. And thus we shall always be with the Lord." I believe this is what Jesus is talking about in John 14:3. I believe this is what the angels are referring to in Acts 1:11. I believe it is what Paul is also talking about in 1 Corinthians 15:51-52 when the dead are resurrected, but the living are “changed.” The living skip death and go right to resurrection bodies. When will the rapture happen? We don’t know. It could happen at any time. There is no sign or event that has to happen before the rapture happens. That isn’t the case for the Second Coming. But the rapture isn’t the event referred to when it comes to knowing the day and hour. The only thing that we know in terms of timing for the rapture is that it happens before the events that lead up to the Second Coming. Call it pre-trib, or pre-70th week of Daniel (see studies on Daniel 9:24-27), or pre-Revelation 6-19, this timeline makes the most sense to me when all the relevant scriptures are taken into account. The rapture is a reunion. Jesus is referred to as the Son of Man, “...Coming on the clouds of heaven with power and great glory,” (Matthew 24:30), and “When the Son of Man comes in His glory, and all the holy angels with Him, then He will sit on the throne of His glory” (Matthew 25:31). From Luke 21:27, quoted above, and this Second Coming to rule and reign, no one knows the day or the hour when this is going to happen. And yet, this is the event that people claim to know when it will happen. By my count in these two chapters of Matthew alone, Jesus says no less than four times that no one knows when this will happen (Matthew 24:36, 42, 44 and Matthew 25:13). He helps to make this clear with a number of parables. One thing that is clear is that the Second Coming, the return of Jesus, is to reign. Then Why Did Jesus Make Such a Big Deal? If no one can know when Jesus will return with power and great glory, then why did Jesus go so over the top with all of the signs we are to look for regarding His return? Why did He warn us not to be deceived, tell us what the deceptions look like, and even point out the specific prophecy of the “abomination of desolation” (read Daniel 9-12) as a major landmark before His return? Because Jesus knows that we are prone to spend too much time trying to figure out when He will do what we want Him to do, that we won’t spend enough time doing the things He has called us to do. 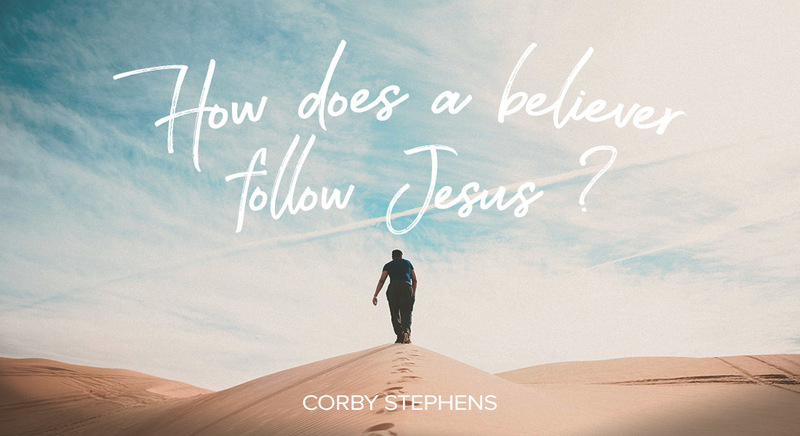 What has Jesus called us to do? I think Acts 1:4-8 illustrates our situation best. Jesus is trying to tell His disciples that the Holy Spirit is going to come and equip them for ministry as promised. But all that they are interested in is when Jesus will restore the kingdom to Israel, also as promised. Sound familiar? Jesus has to redirect their focus, and ours, back to what we are supposed to be about. “It is not for you to know times or seasons for which the Father has put in His own authority. But you shall receive power when the Holy Spirit has come upon you; and you shall be witnesses to Me in Jerusalem, and in all Judea and Samaria, and to the end of the earth” (Acts 1:7-8, NKJV). We tend to make this a one-or-the-other situation. Either we should forget about being out there in that dirty, old world of sinners and watch for the signs of the times, or we should forget about all that end times bologna and get busy feeding, clothing and sheltering people. The Biblical reality, the Jesus reality, is that it is both. We are to watch for the signs so that we have a general idea of the little time we have left to be witnesses, to be representatives and representations of Jesus, to a lost and hurting world of sinners in need of the Savior. What Day and Hour Should We Be Concerned With? According to Jesus, knowing the day or the hour isn’t important. It isn’t even the point. The point, according to Jesus in Matthew 24-25, is this: • Be ready, unlike those in the days Noah. • Be faithful, unlike the self-serving servant. • Be wise, unlike the unprepared wedding party. • Be responsible, unlike the fearful and lazy servant. In other words, be a student of God’s word while being a servant of God’s people with the power of God’s Spirit. The better we do that, the more people will be prepared for that future unknown day and hour. For now, the day that we should be concerned with is today. The hour is now. “Behold, now is the accepted time; behold, now is the day of salvation” (2 Corinthians 6:2). Who will you represent Jesus to today?